Petfinder Pro Marketing Adoptable Pets For Animal Shelters and Rescues. Did you know that only approximately 27% of people looking to bring a new pet into their family choose to adopt from an animal shelter or rescue group*? With so many wonderful pets currently in the care of shelter and rescue groups, why aren’t more people choosing to adopt? Through their dedication to research, Purina sought to learn more about what’s creating barriers to pet adoption. 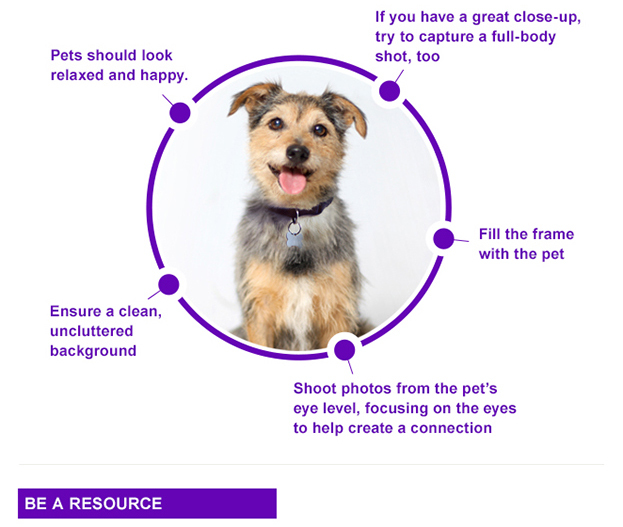 These learnings, combined with Petfinder’s tools and resources, can help shelters and rescue groups place more adoptable pets in loving homes. 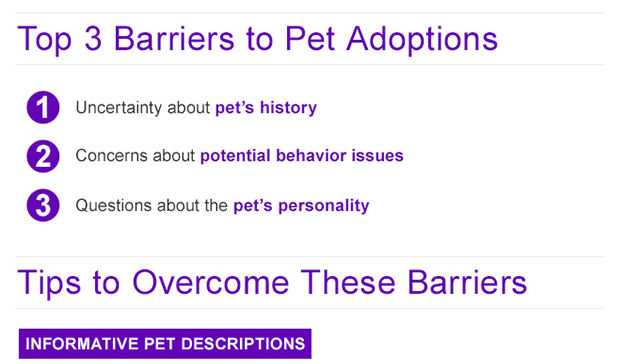 Help alleviate adopter uncertainly through informative pet descriptions. The more potential adopters feel like they know who they’re adopting, the more confident they are in their ability to provide great care for their new family member.